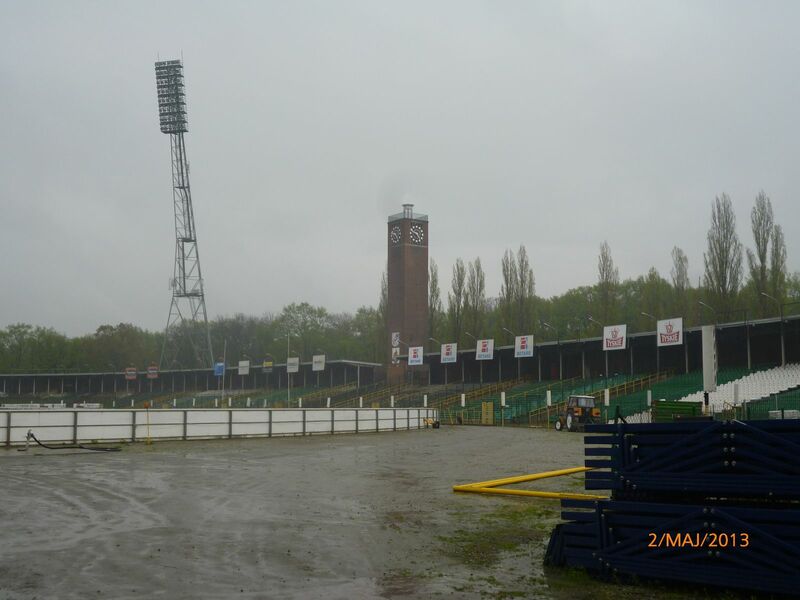 Against some myths surrounding the stadium built in 1928 along Odra’s canals, it never hosted any Olympic event. 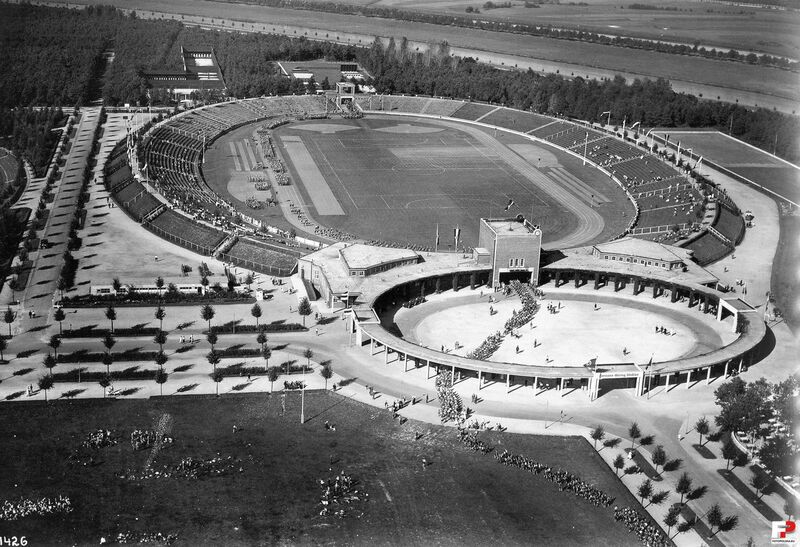 There were rumours giving it part in the 1936 Berlin Olympics, since it was still under German authority and redeveloped at that time. 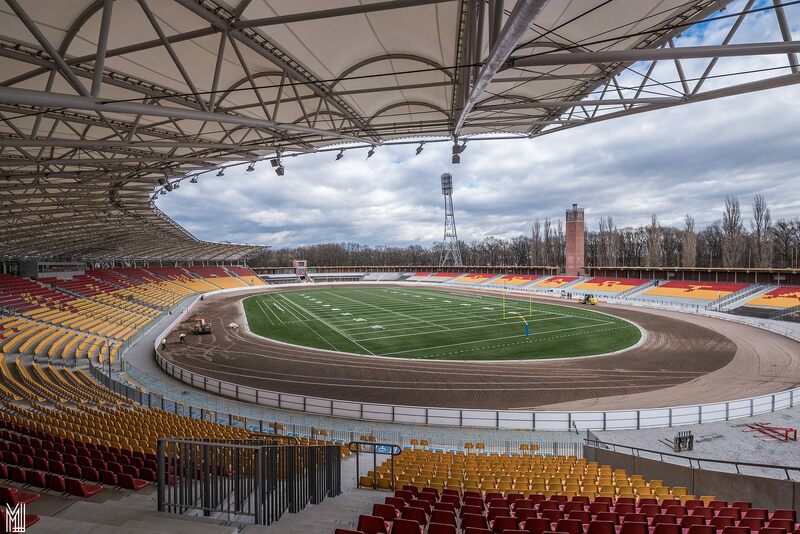 It does have an Olympic accent, though. The design by Richard Konwiarz was awarded bronze medal during the 1932 Olympics in Los Angeles. 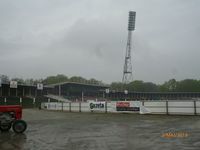 The ground created by Konwiarz was at the heart of Sportpark Leerbeutel, with various surrounding functions incorporated into the vast park around. 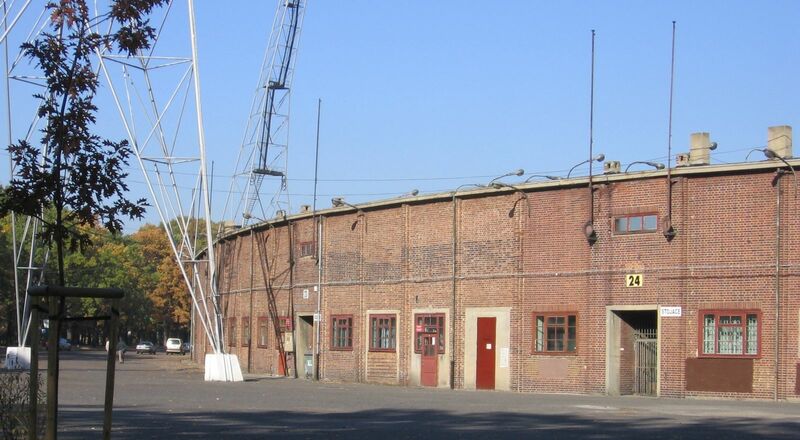 The elliptic stands were raised on artificial embankments and surrounded a long running track. 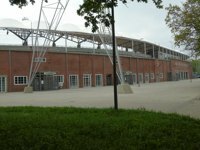 North and south sides had gates erected, while all of the sporting rooms were located in the south. 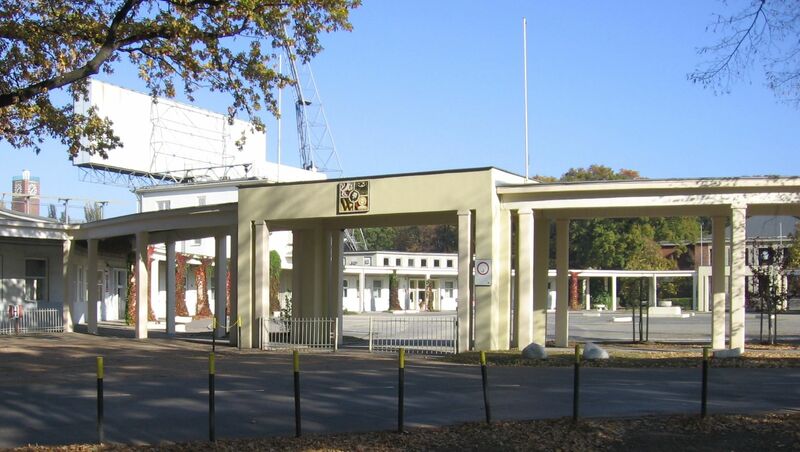 There was also a colonnade created to surround the southern entrance. 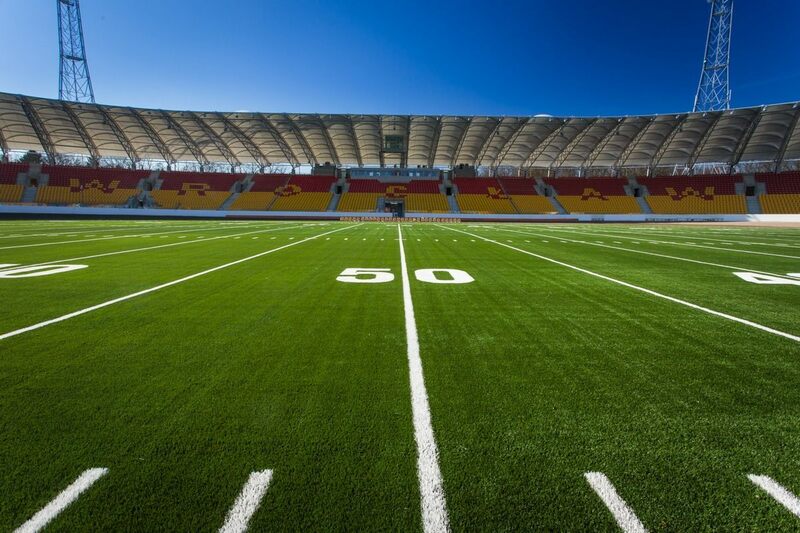 All of the elements mentioned exist to this day. 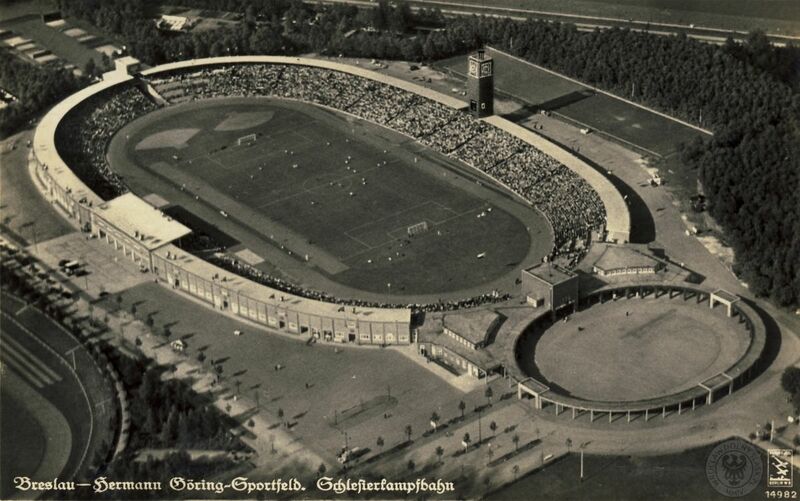 The Nazi plan was to increase this stadium’s rank as the Nazis were preparing to expand to the east. In 1933 the stadium received the name of Hermann Göring, one of the creators of the III Reich. 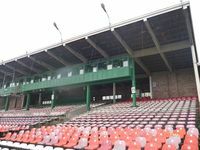 In 1935-1939 all stands were expanded with new sections, partly covered and equipped with additional facilities underneath. 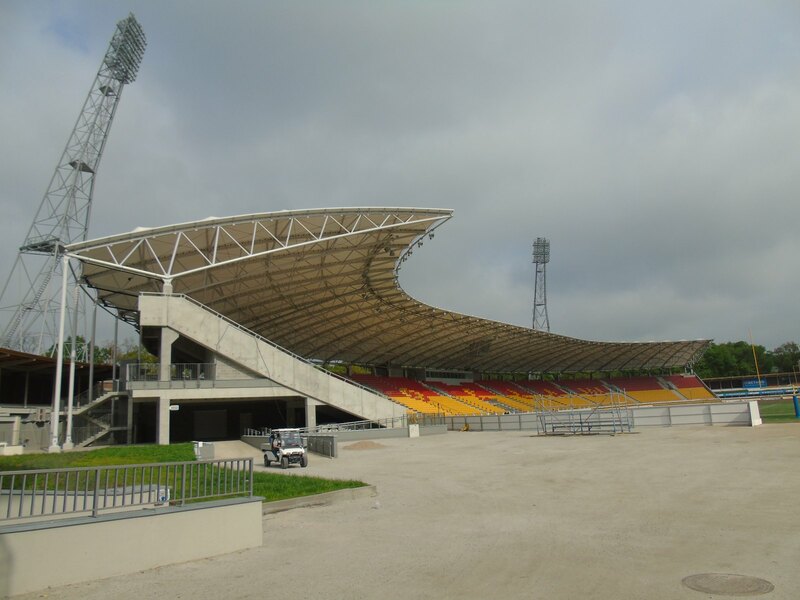 West stand was transformed into a true main grandstand, with its own entrance and large roof. 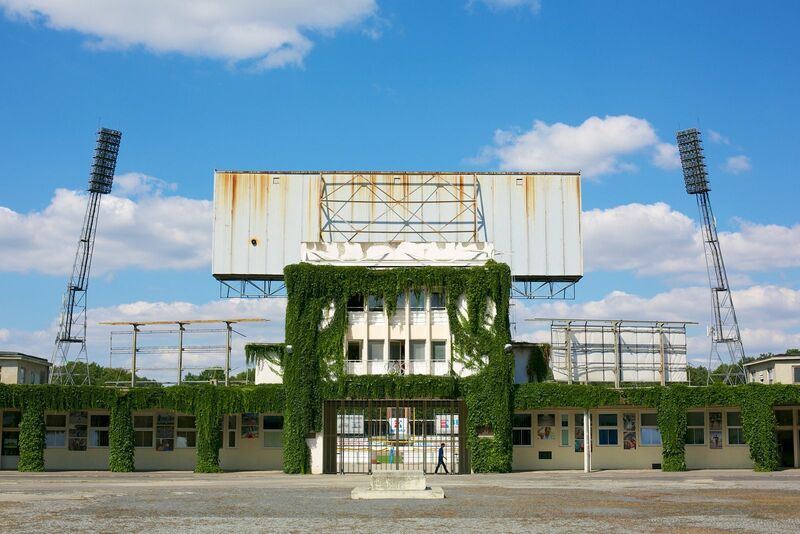 A clock tower was built on the opposite side. 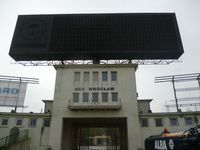 The final outcome of WWII stopped German plans as Wrocław was reclaimed by Poland. 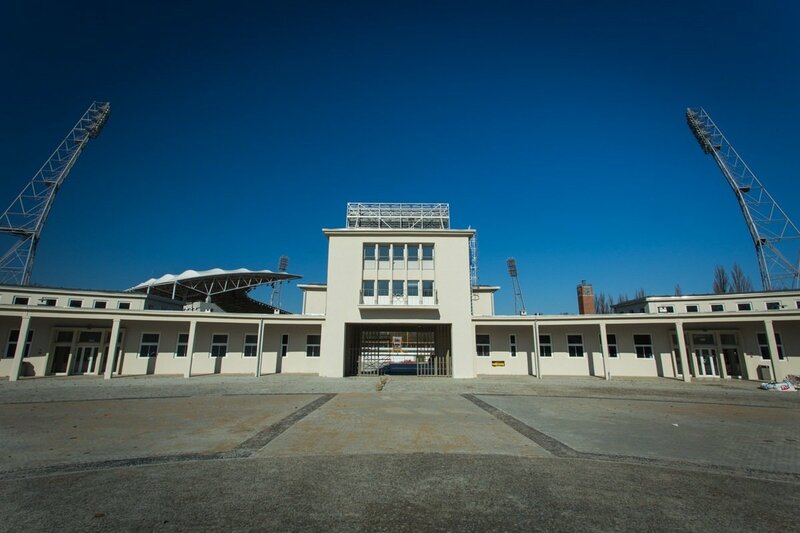 Following post-war repairs the stadium was reopened with a new name, honouring Red Army general Karol Świerczewski. 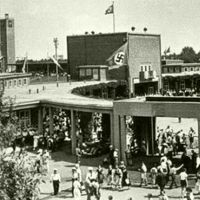 It was under municipal government since then. 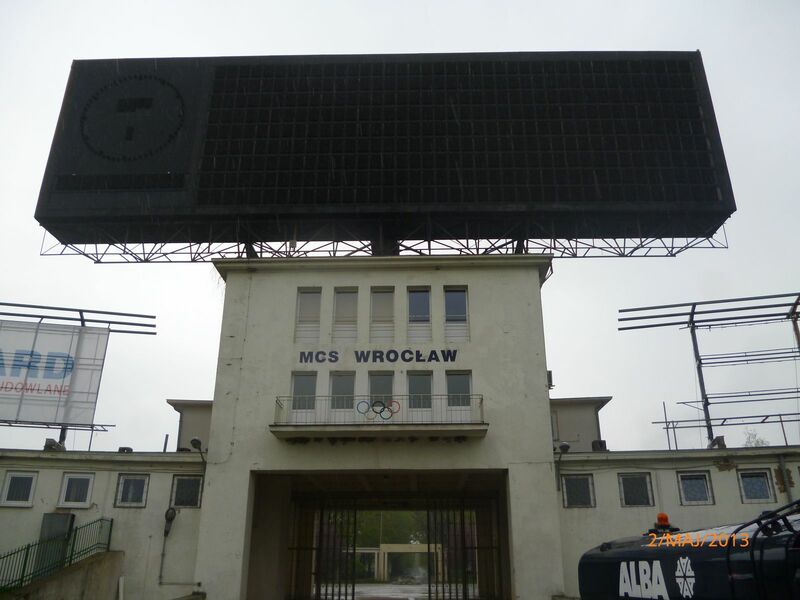 In 1970 the municipality transferred the stadium to local AWF (Physical Education University) and saw new investment coming. 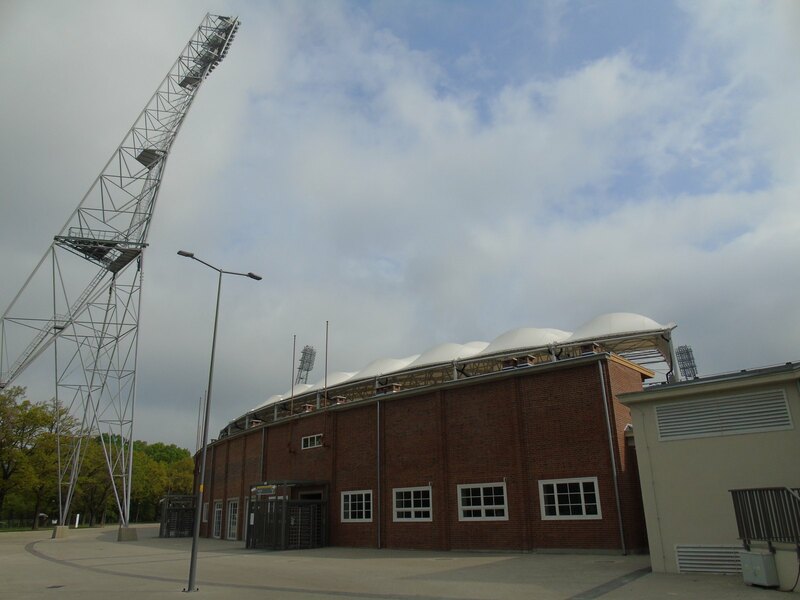 The stadium received immense 80-meter floodlight masts in 1978, together giving the lighting strain of 2,800 lux, Europe’s strongest at the time. 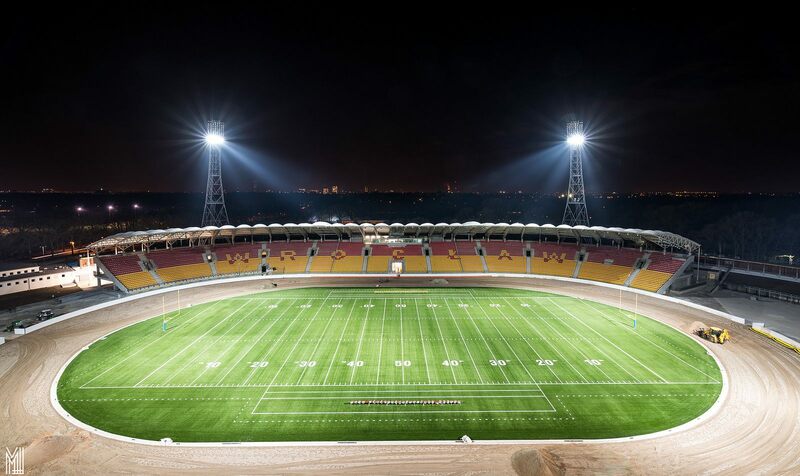 A year later the stadium received under-soil heating, one of the first of its kind globally. 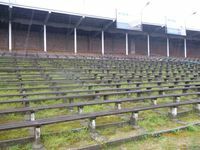 Things turned worse in late 1980s, though, as the heating stopped working along with overall deterioration of the stadium’s state. 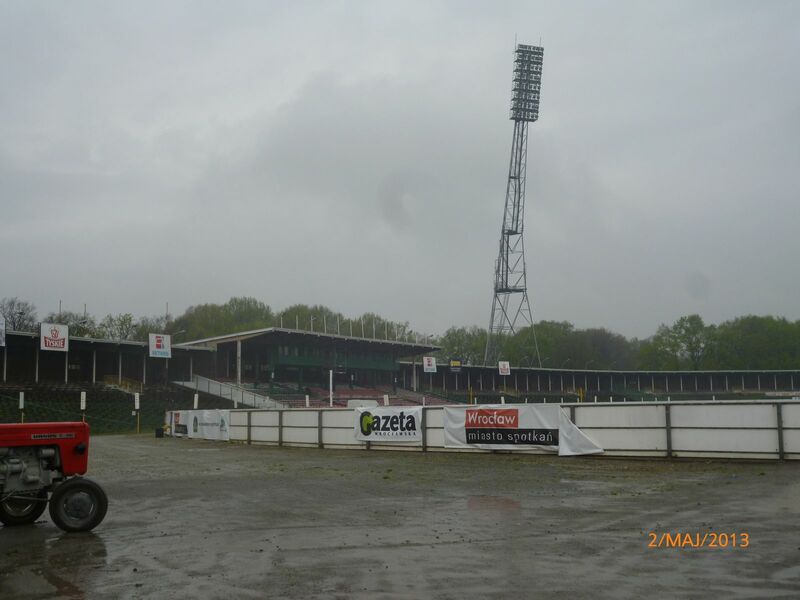 As the university could no longer bear the stadium as Poland went through regime shift, the stadium was becoming nearly defunct by 2000s, hosting games of football team Śląsk (on some occasions only) and speedway side WTS. 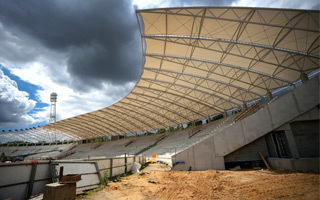 The city took reclaimed Stadion Olimpijski in 2006, beginning further investments to keep it alive. The stadium lost most of its capacity (officially at 50,000 for a long time). 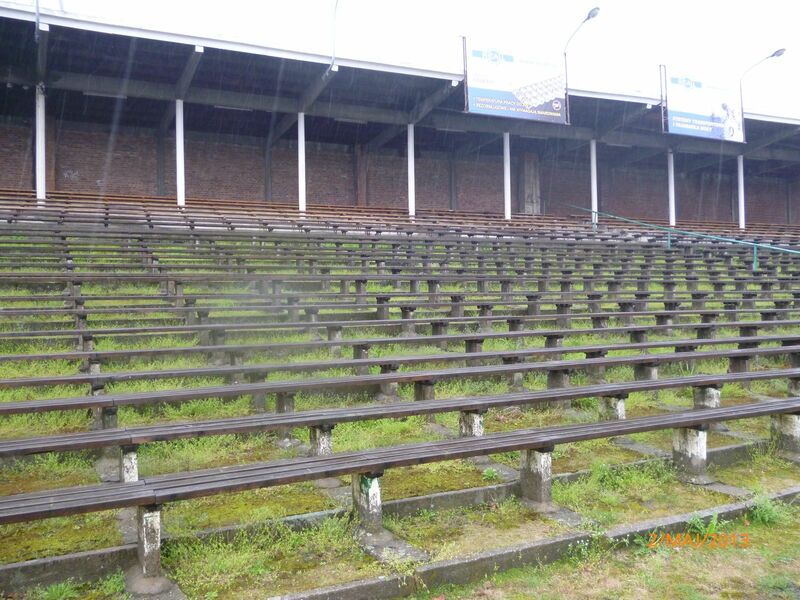 Though the current official size stands at 35,000, actual potential is at just over half the number with some stands being closed off. 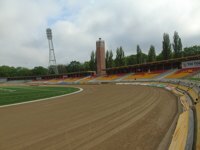 Since 2010 there are no more football games, because the motorcycle speedway track was reshaped, interfering with football pitch size. 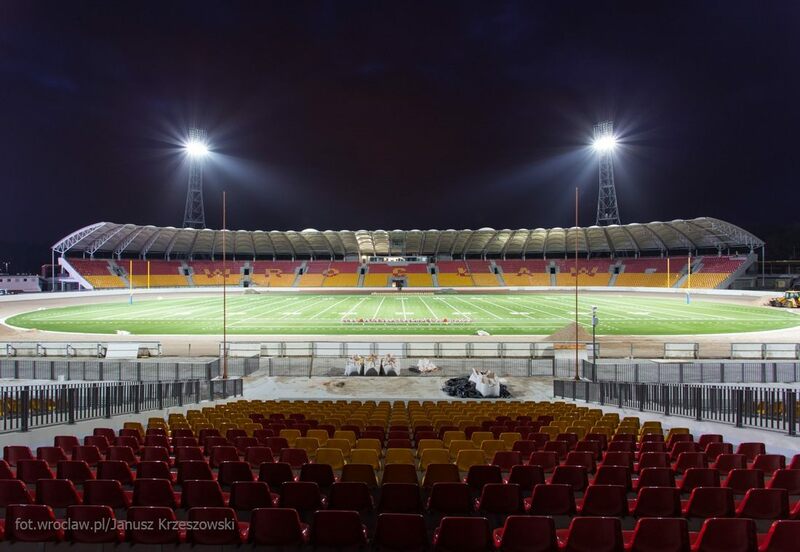 A long story of international games has thus ended at 19 national team games (5 of Nazi Germany and 14 of Poland). 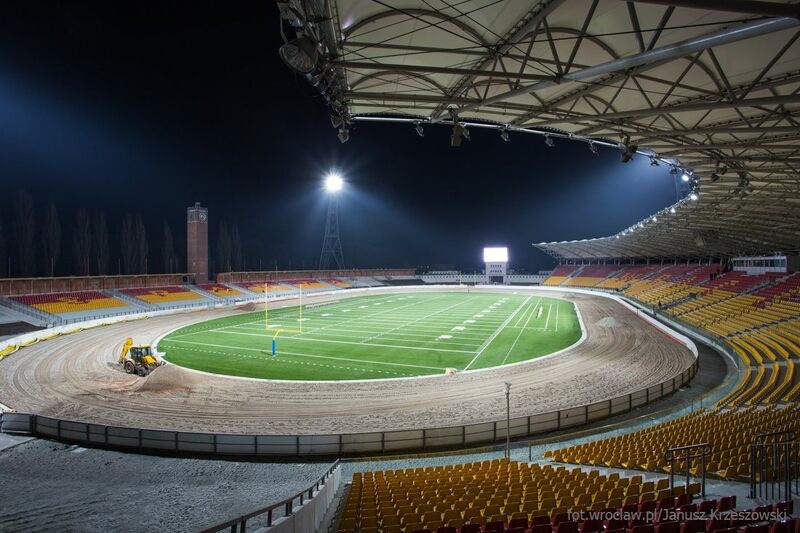 Currently the speedway team remains its sole tenant. 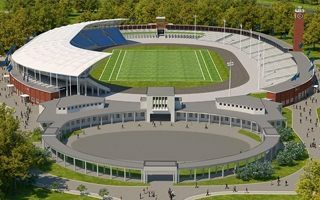 In 2015-2017 the stadium underwent its largest re construction to date. 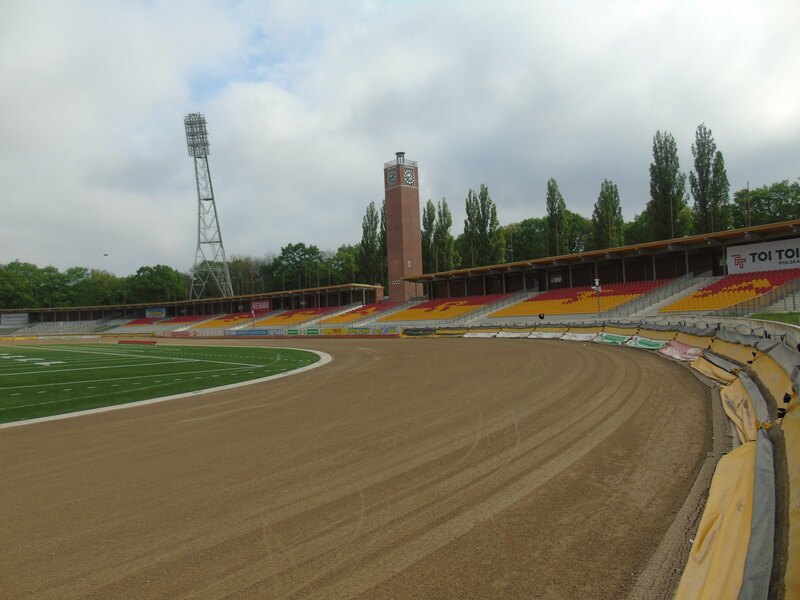 Monument-listed external walls and eastern tower have been retained, along with the eastern terracing. 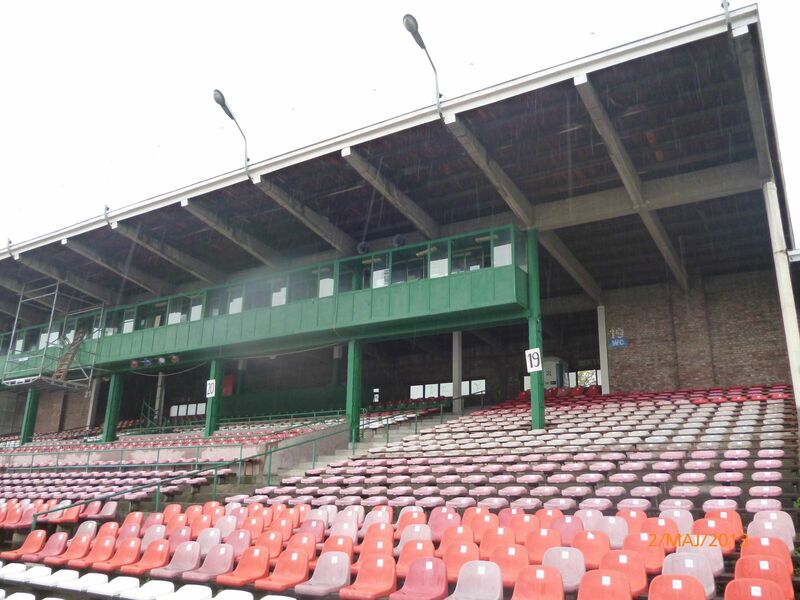 However, the western side was reconstructed from scratch, bringing fans much closer to the field and racing track. 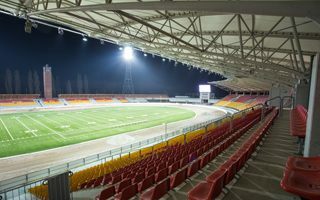 With all-seating layout its capacity dropped to just 11,000, but finally with updated facilities, meeting 21st century standards. 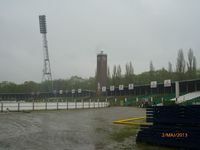 The floodlight masts, once the tallest in Poland, have been reduced to just under half their size. 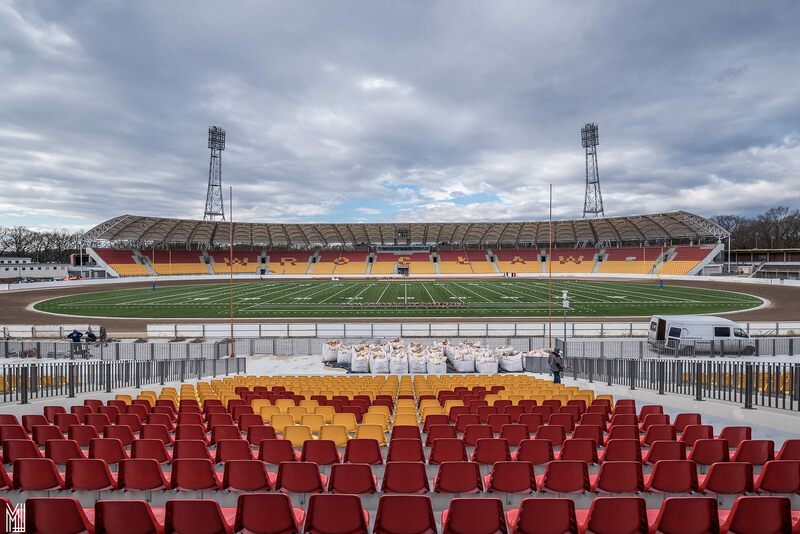 It was redesigned without football in mind, for the first time in history. 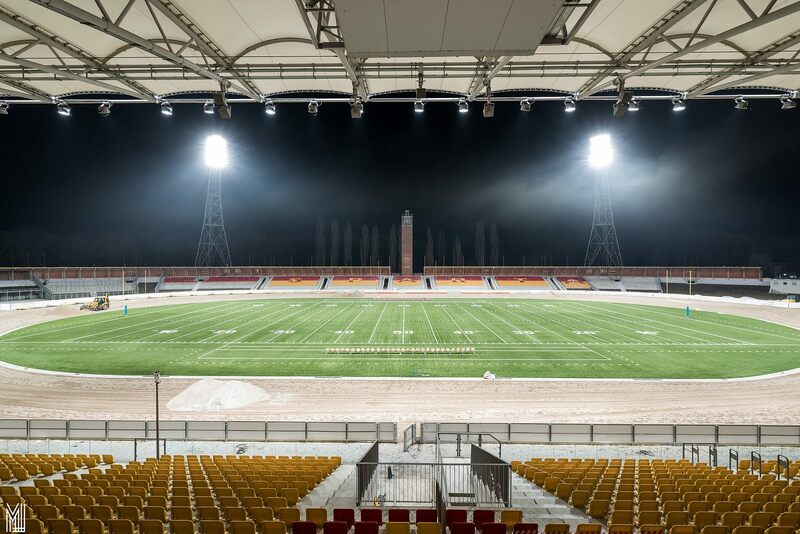 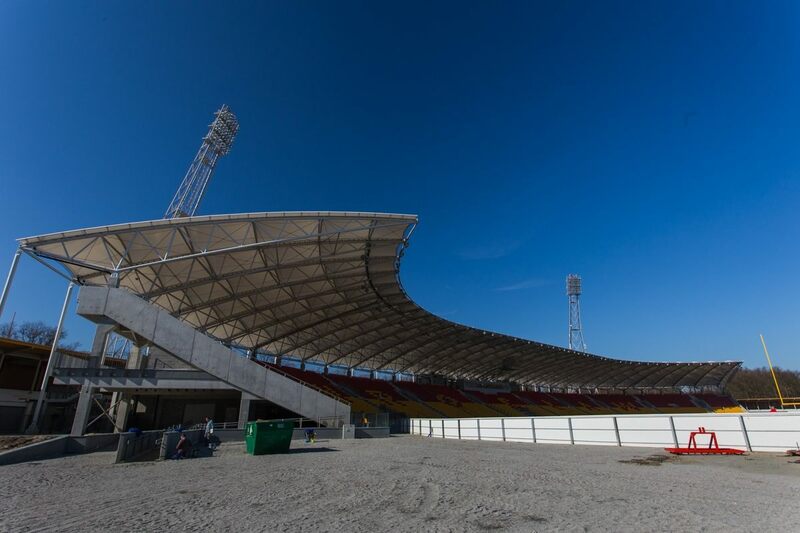 It’s expected to host motorcycle speedway and American football on regular basis, though the reconstruction itself was carried out primarily for the 2017 World Games, during which the stadium became the key venue. 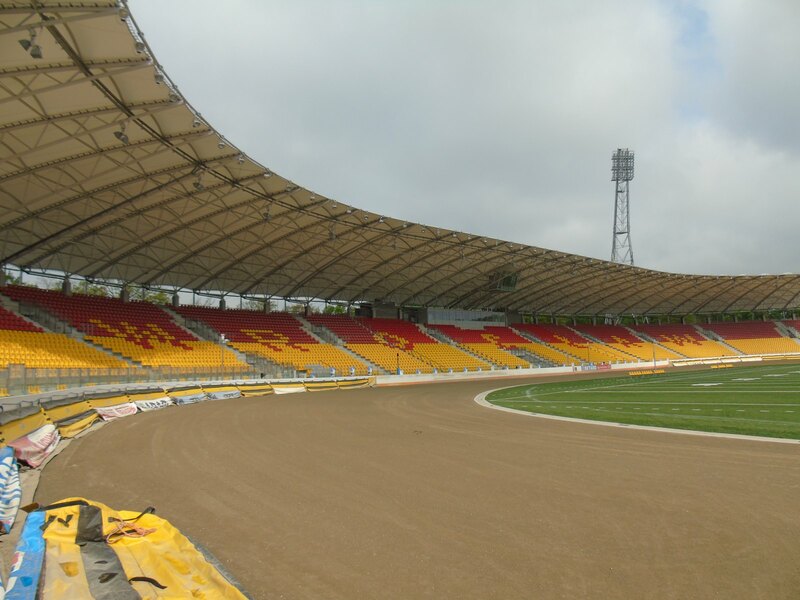 You may remember Wrocław as a Euro 2012 host city, now see it preparing to the 2017 World Games. 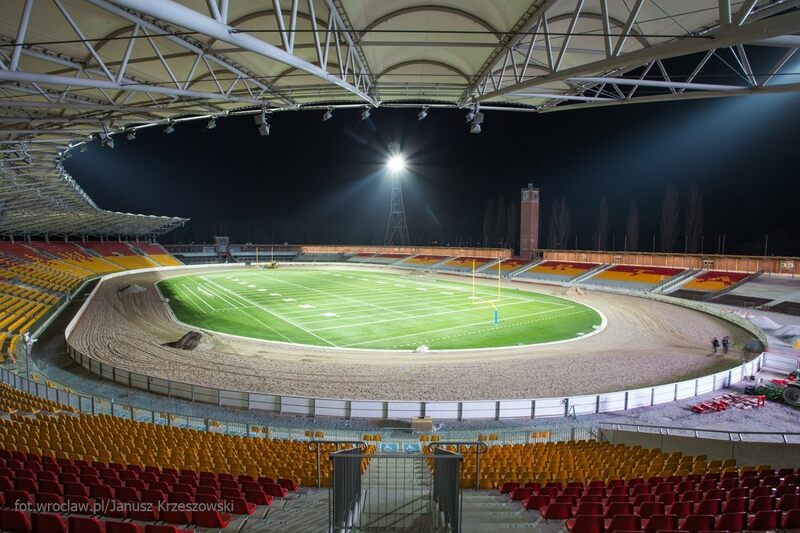 The biggest project of the tournament is now growing and you can watch it. 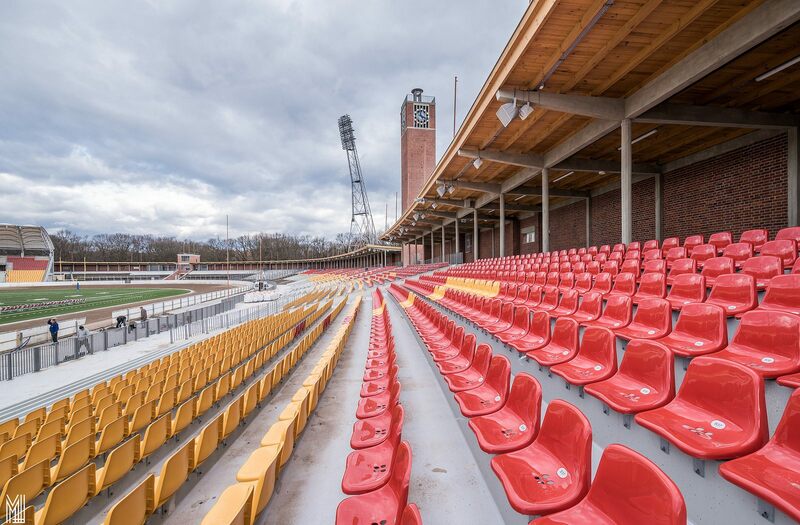 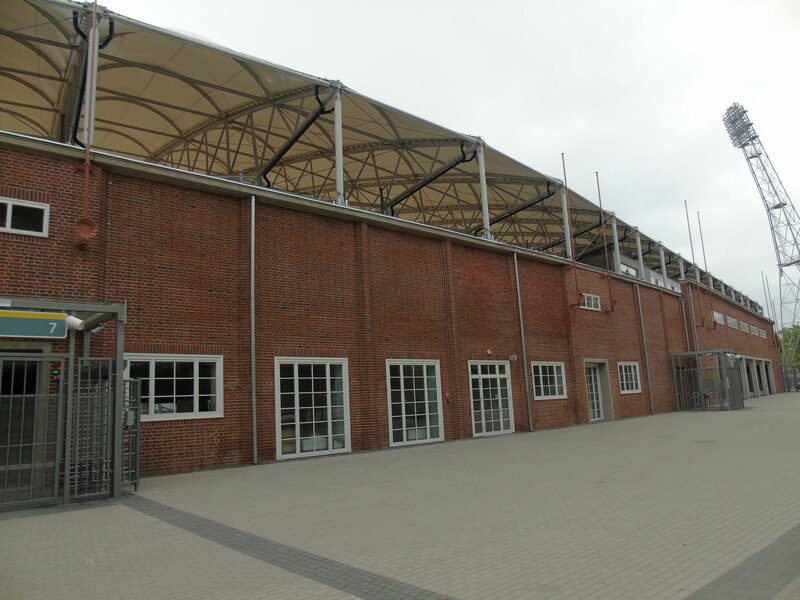 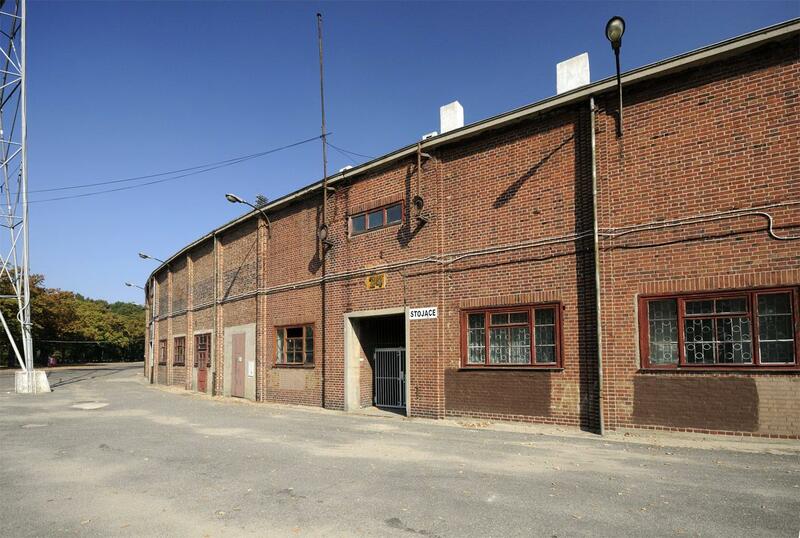 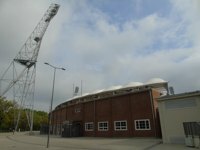 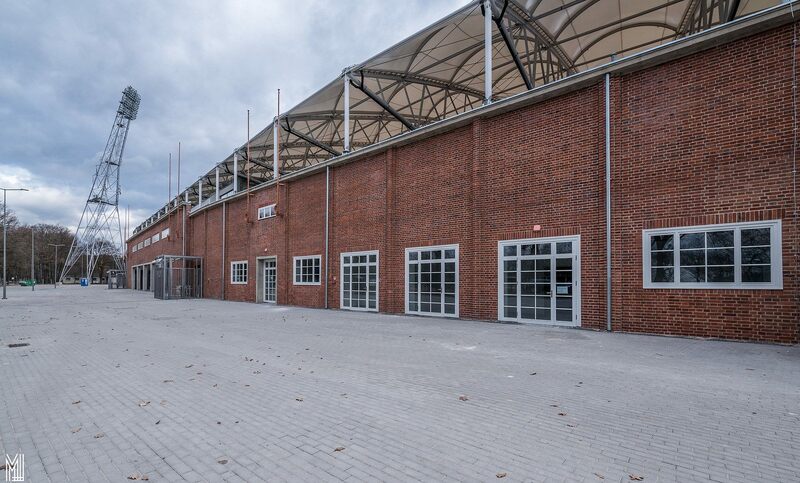 It dates back to 1928 and is among very few existing stadiums of that era in German architecture. 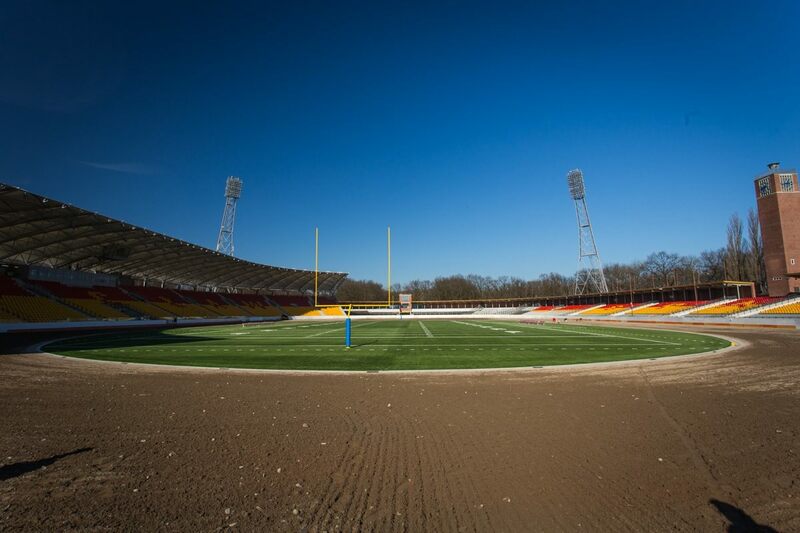 Now Polish authorities need to revamp the historical Olympic Stadium in Wroclaw.